If you are bored with the bright theme for your garden landscape, gothic theme can be the unusual alternative to create your bizarre gothic garden. Although gothic is always related to something dark, spooky, and scary, it offers mysterious and unusual taste of gardening. 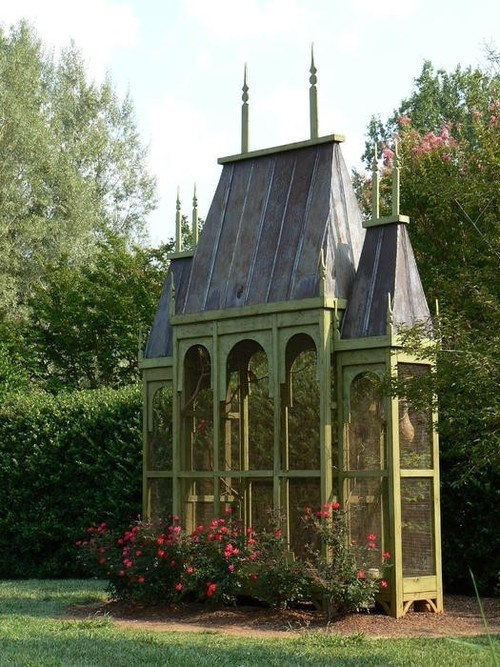 To make your gothic theme is successfully applied in your garden project, you must consider some things to do. Here, you can find the ideas of gardening in gothic theme without make your garden seemed like a grave yard. The statuary and stones are well known as icons of gothic. Based on this fact, you need to consider the statuary and stones you want to apply for your garden. You can choose the statuary which is made from stone or cement. The most popular statuary placed in a gothic garden is the statue of dragon or gargoyle. These two icons will bring the classic sensation to your garden. You can add some elves or gnomes hidden in your garden too. Items related to the Roman and Greek history offers the sense of gothic as well. To make your garden more intriguing during the day and night, you can place some mirror gaze balls in certain areas. Not only statue but also boulders can be used as the part of your gothic garden project. You can create seating corner using boulders. That’s gothic! Now, you have to think about the furniture for your gothic garden. The wrought-iron can help you to enhance the mysterious feel in your garden. To reinforce the gothic impression, you may paint the wrought-iron in dark color, just simply black will be okay too. You can just leave them to weather and age and let them give you their magical timeless effect. The cement benches can work as well as the seating area made from boulders. They can give you the truth of gothic garden design. Trellises, arbors, and pergolas will give your garden a mysterious and mystifying atmosphere, moreover if you combine them. It is better for you to build the wrought iron with pointed endings. This kind of design expresses classic ancient-world appearance. The plant best grown in the wrought iron is vines. It is because vines can present a wonderful canopy so you can place the seating benches below the canopy and it will be a perfect arrangement of gothic items. Herbs in your gothic garden function not only as the plants should grow in your garden, but also as the natural aromatic items. You can grow rosemary, chamomile, lavender, sage, lemon, balm, and so on. They are very famous for their mystical and medical qualities. So, grow them and let them give you double benefits. Because gothic is commonly connected to dark and black view, you have to bring this dark view in your garden. One of the ways is by planting flowers which have dark or black colors. You have to make sure that the flowers you plant have a strong and dark shade color. You can try to plant black pansies in your garden. They are very beautiful even they appear in the black color. 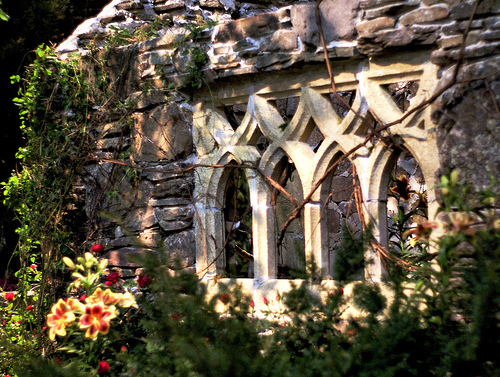 They are the pride of a gothic garden. Black Pansies grow fast, easy to take care of and produce beautiful black flowers. 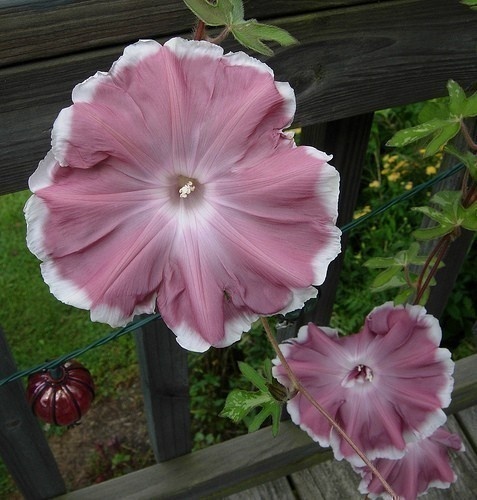 The second choice is Black Knight Morning Glories. These flowers have deep purple tones which make them suitable for the gothic theme. They are easy to grow and love sun, so you must put them in a place rich of sunray. Bowles Black Viola flowers are also recommended for your gothic garden. Bowles Black Viola flowers stand annual, very easy to go and love a sunny place. They have a dominant black color combine with dark purple which make them looked mysterious and elegant. You cannot ignore Black Barlow Columbine flowers. These flowers have a dark color and can last for a long time. They are the favorite flowers to be a magnet for hummingbirds. There are a lot of dark flower choices besides the examples above such as Black Carnation, Black Calla Lily, Dark Hellebores, Bat Plants, and so on. And do not forget to plant your dark flowers annually ad perennial, so it will give you continuous and permanent display of gothic. Thinking wider and wilder is necessary to create a fresh atmosphere into your life. 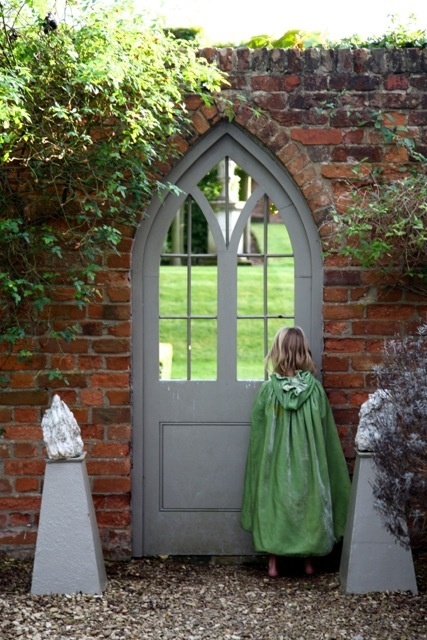 And gothic theme will bring an unusual sense to your garden without making you afraid or feel scary. The mysterious statuary and stones combining with dark flowers around your garden won’t scary you but give you an amazingly wonderful garden.